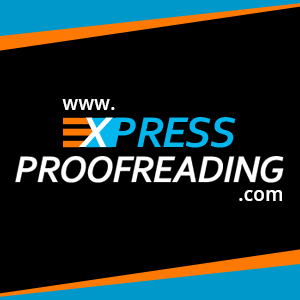 At Express Proofreading we understand that getting a job can be a difficult process, you may have the right qualifications and experience. However, if your CV and cover letter are not presented in the correct format, are not concise, well written and easy to read then your application will not stand out to potential recruiters. We have expert proofreaders and editors with years of experience who will thoroughly review your CV and or cover letter and will send you a personalised report upon completion. Our comprehensive CV check and cover letter review services will help you make a great impression with potential employers. The term ‘Curriculum Vitae’ is commonly abbreviated to CV and is used to refer to the document that you provide to employers to give a summary of your career history. Employers will ask for a CV, as when they have a potential vacancy, they will create a list of criteria and specifications for the job and obtaining your CV will enable them to quickly determine whether you match what they are looking for. It is estimated that a typical employer will spend on average less than a minute looking at a CV, it is therefore imperative that your CV showcases your achievements, skills and demonstrates the skills that a potential employer is looking for. When applying for most positions, you will almost certainly need to prepare a cover letter as part of your application. The purpose of the cover letter is to introduce yourself, explain your reasons for applying for the role and highlight your skills and experience. For this reason the contents of the cover letter matter, it is your introduction to an employer and the first impression that you create matters. The cover letter will not only highlight your achievements and skills, however it will also demonstrate your ability to effectively communicate. Therefore, it is essential that you take the time to make your cover letter the best it can possibly be. suggesting any changes that could be made to your text to ensure that your CV highlights your strengths. The completed feedback is integrated with your CV and accompanied with a CV guide and returned to you upon completion. You can choose to select either the CV review or cover letter review option depending on what you require. However, we also offer a combined CV and cover letter review service which offers both services at a discounted price. To place your order for our application review services, simply select your preferred option below, provide us with any relevant details at checkout and upload your current CV and or cover letter. Once your order is placed our editors will then begin work on your application. Our standard turnaround time is 48 hours, if you require your reviewed document sooner, please contact us prior to placing your order.